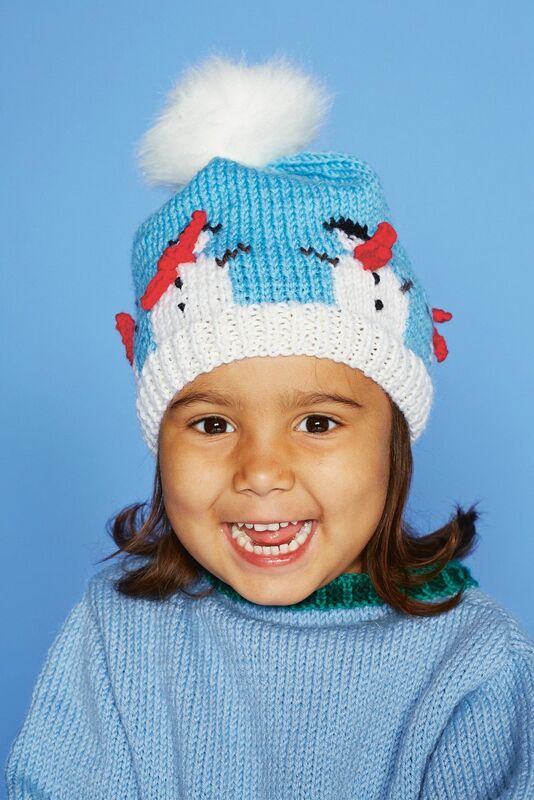 Perfect for wintry days, this fun snowman hat for children is just so cute. A great hat knitting pattern for kids. Main shade used: Beach Blue (265). A small amount of Orange and Mocha for embroidery is required and a Faux Fur Pompom in White.